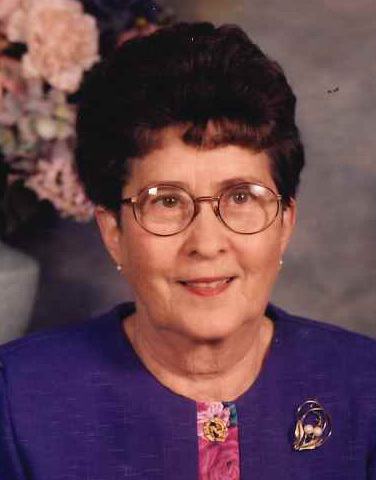 Remembering Jacqueline G. Scott | Remembering Jacqueline G. Scott | De Soto Obituary Search | Dietrich-Mothershead Funeral Home, Inc. Remembering Jacqueline G. Scott | De Soto Obituary Search | Dietrich-Mothershead Funeral Home, Inc.
Visitation: Monday, March 18, 2019 from 4:00pm unitl 8:00pm at the Dietrich-Mothershead Funeral Home. 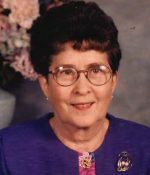 Jacqueline (Burpo) Scott, 86, of De Soto died March 15, 2019 at Crystal Oaks Nursing Home in Festus, MO. She was a homemaker and enjoyed sewing, gardening, and spending time with family, especial her many grandchildren. She was a member of the First Baptist Church in De Soto. Born March 28, 1932, in St. Louis, she was the daughter of the late James Aubrey Burpo and Ethel (nee Kite) Burge. She was preceded in death by husband, Marvin Scott, Jr.
She is survived by five children: Karl (Carol) Scott of De Soto, Rick (Mary Kay) Scott of St. Louis, Gary (Sue) Scott of Columbia, Dan (Carolyn) Scott of De Soto, Karen (John) Robinson, De Soto; 9 grandchildren; 17 great grandchildren. She was preceded in death by one son, Kenneth Scott: two brothers, Dean Burpo and Vernon (Pete) Burpo, and granddaughter, Jennifer Scott.